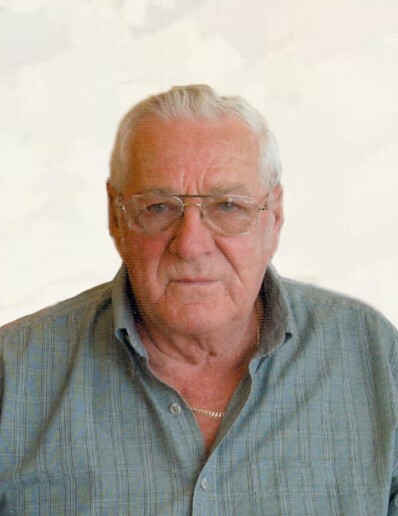 Carl H. Schultz, 82, of Wahpeton, ND, passed away on Tuesday, February 12, 2019 at Sanford Medical Center in Fargo, ND. Services will be at St. John’s Catholic Church, Wahpeton, on Friday, March 1, 2019 at 1:00 pm, with a visitation from 11:30am to 1:00pm. Father Dale Lagodinski will be officiating. It was a tough battle, but in the loving arms of his wife, Marlette, and surrounded by his son, Ron, and daughter-in-law, Marcy, Carl Schultz, 82, saw the light and went home to heaven. Carl was born on July 14, 1936 to Sigrud and Ermade (Albright) Schultz in Deering, ND. Carl moved with his family to St. Thomas, ND, were he graduated from High School. Joining the US NAVY in 1956, Carl did his training in Maine and Baltimore before being assigned to the USS Boxer (CVS-21). He served as an Information Technology Specialist from 1956-1958. During this time, the USS Boxer, was assigned to do nuclear testing near the Marshall Islands (Enewetok Atoll, Belkini Atoll and Johnson Isle) in the Pacific. After being honorably discharged in 1958, Carl returned to North Dakota where he worked for the City of Grafton, before making a 34 year career with Ottertail Power Company. Carl married Marlette Anderson on December 29, 1994, in St. Thomas, ND. Together they made Wahpeton their home, and spent many happy years together enjoying life to the fullest. They enjoyed traveling, with special trips to Pennsylvania and Arizona, and spending their winters in California. He was a lifetime member of the VFW, American Legion, and the Fraternal Order of Eagles at Grove City, OH. In his spare time, he enjoyed: gardening, woodworking, trips to the casino, time at the lake, pontooning, and a good fish fry. Carl loved to entertain and tease his grandsons at the lake, watching them grow up. Carl loved the lake and his “Big Happy Hour Gatherings,” it truly made his day; often you would hear him say “It’s 5 o’clock somewhere.” Carl was an honest friend to everyone that knew him, but above all he was a loving husband, father, and grandfather. Carl is survived by his wife and “the love of his life,” Marlette; his son, Ron (Marcy) Schultz, Brooklyn Center, MN; step-daughter, Sharon Bloomquist, Grafton, ND; step-sons, Dion (Lisa) Anderson, Grafton, ND and Darren (Amber) Anderson, Garden Grove, CA; seven grandchildren, Nathan, Brendan, Camila, Bryce, Mitchel, Olivia and Ryan; two great-grandchildren, Sage and Alder; his brother, Donald (Karen) Schultz, Willow Street, PA; Brother-in-law, Bill Normandie, Grafton, ND; as well as many nieces and nephews. He is preceded in death by his parents, Sigrud and Ermade Schultz; sister, Shirley Normandie; and step-daughter, Kelli Jo Anderson. Carl will truly be missed by everyone that had the privilege of meeting him. Nathan will hold the honor of placing Carl’s Urn into St. John’s Sanctuary for Carl’s Celebration of Life.